Electric shock can kill or seriously injure and as a landlord it is very important that (as well as the gas boiler and installation) the electrical appliances provided for tenants under a tenancy agreement are safe and in good working order. 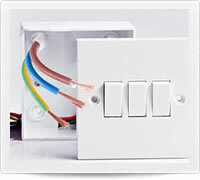 "If a landlord provides any electrical appliances as part of a tenancy, the Electrical Equipment (Safety) regulations requires that person to ensure that the appliances are safe when first supplied. Although there is no specific requirement for portable appliance testing to be carried out in rented accommodation, the landlord is required to take reasonable steps to ensure appliances such as electric kettles, fridges and washing machines provided as part of the tenancy agreement are safe." BGM Heating and Plumbing provide PAT Testing, in the Newbury, Thatcham and Hungerford area, for landlords and will check all of the electrical appliances supplied under a tenancy agreement for safety. On successful completion of the Electrical Appliance Testing we will email a certificate detailing results and will advise on any issues found. 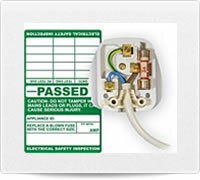 We will label each appliance to show the date of testing and the pass/fail status of each electrical appliance. 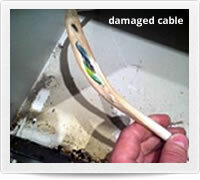 We generally provide Electrical Appliance Testing in conjunction with our Annual Landlords Gas Safety Inspection service. By having ALL APPLIANCES, gas and electrical, serviced and inspected (including PAT Testing) in one visit we are able to save the inconvenience of using two companies: two separate visits to the property, two invoices and most importantly the landlord or agent's' valuable time. When you choose BGM Heating and Plumbing for your Gas and Electrical Appliance Testing you not only save time (and possibly money) you have the reassurance in knowing that all of the gas and electrical appliances in your let property are safe and certificated by a company that has been delivering excellent service in the Newbury and Thatcham area for over a decade. Our registered Gas Safe Engineers are also qualified for PAT Testing, holding the qualification: City and Guilds 2377-601: In Service Inspection and Testing of Electrical Equipment which is recognised across the country as a leading qualification in PAT testing procedures. This photo of a cable supplying an electric oven displayed here was taken by one of our engineers recently at a let property in Newbury. This cable had been in close contact with the hot casing of the oven and as can be clearly seen it would not have been long before the heat completely melted through! Thankfully this potentially dangerous situation was discovered by our engineer, the electric oven was disconnected and the landlord informed BEFORE the tenant was put at risk! More information can be found on the services we provide for Landlords and Agents on our Landlord Services page. If you are not already, we hope you will soon become another valued customer of BGM Heating and Plumbing.